Summer is for fun, summer is for being outdoors and making the best of it. 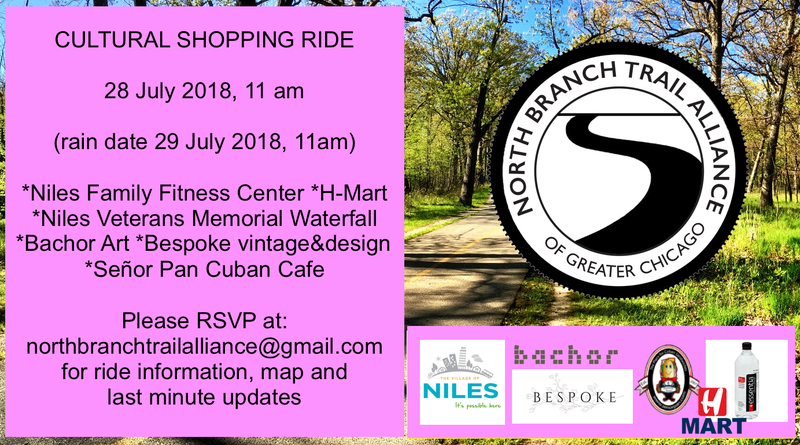 Join us for our Cultural Shopping ride along the North Branch Trail ! 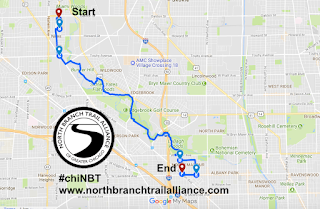 This ride is about supporting local businesses while pedaling along the North Branch Trail and experiencing the cultural diversity of the near by neighborhoods. We will start at 11 AM at the Niles Family Fitness Center (near the entrance). We will head south and make a few stops - cultural and shopping, and end the ride at Senor Pan - a lively Cuban cafe in North Mayfair.